Take your social media marketing to the next level with these powerful steps to influencer marketing. Influencer marketing is arguably one of the most effective social media marketing techniques. However, influencer marketing can be tricky to get right. It depends heavily on authentic presentation and reaching the right audience. Influencer marketing is a long-term marketing method. It takes time to find the best influencers for your business and develop relationships. Typically, simply paying influencers to give your company a shoutout without any established relationship is ineffective because it comes across as ingenuine.That’s because paying influencers to put your logo at the beginning of their videos or tag you in posts is ingenuine.So prepare to play the long game in your influencer marketing strategy. Be prepared to give a little value up front before you start getting returns on your influencer marketing. Remember that the influencers are the ones with the audience you want to reach. They also have the reputation to appeal to that audience. So you’re going to have to offer some value to make it worth the influencer’s while to promote your business. We’ll cover this in more detail a little further on. The long timeline aside, influencer marketing can pay big dividends when you do it right. It enhances your company’s credibility and provides social proof that your product is everything you claim. To help you get these massive benefits from your influencer marketing, we’ve put together a checklist of steps to developing an effective influencer marketing strategy. Let’s start with the basics, which will help you apply the steps in your own business. The simple definition is that influencer marketing is working with influential people in your industry or market segment and using their credibility and reputation to promote your product or service. An influencer marketing strategy is a strategy of marketing to influencers and acquiring them as customers so that they can advocate your business to their audience. If you’re not familiar with account-based marketing, it’s a good thing to learn about as you work on your influencer marketing strategy. Focusing on an influencer as a market of one is a great way to gain their support for your brand. The digital age has transformed the way people buy things. Banner ads that were once staples of online marketing are now averaging .04% click through rates. People discover and learn about products in different ways than they used to, so some of the conventional advertising tactics have lost their footholds. Fortunately, social media offers an amazing way to access the new channels that people use to research and buy products. Influencer marketing gets your product and brand into the social media environment organically and presents your product or service as a recommendation from an expert. This is the strongest sort of social proof. Psychologically, social proof is one of the most effective marketing tactics. So, in short, influencer marketing works. That’s why it’s a good idea to use it. Now that you know the ‘why’ of influencer marketing, let’s talk about the ‘how’ of building an influencer marketing strategy. Here’s the promised checklist of steps. Often, businesses default to targeting influencers with the largest number of followers. However, choosing which influencers you want to represent your brand is more about fit than reach. This is arguably the most important characteristic to evaluate. When an influencer recommends your brand, how respected is that recommendation? The challenge here is that social media is a very personality-driven medium. There are a lot of influencers who have gathered huge audiences based on their great personalities. However, a great personality doesn’t equal expertise. Consider how an influencer fits into your industry as you evaluate their expertise. Here are a few examples of credible influencers. For instance, if you sell skis, a skilled user would be a professional skier. Keep in mind that the influencer doesn’t need to be a professional user of your product, as long as part of their online brand involves expertise as an end-user of your product or service. Sticking with the skis example, a production expert in the ski industry would be a mechanical engineer who designs skis. These sorts of influencers can really enhance the perception of quality surrounding your brand. 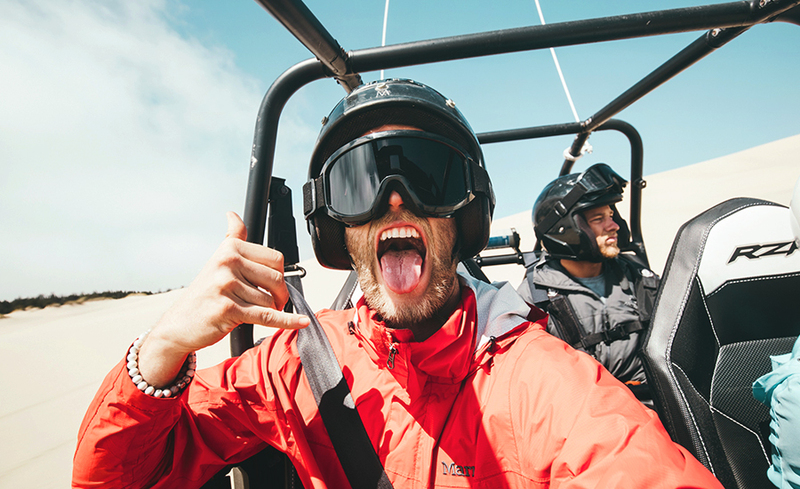 These influencers almost always use the products they advocate, but their brand as an influencer revolves around their overall industry knowledge.In the ski world, ski magazine editors, professional gear reviewers, and company owners are the industry experts. These influencers are skiers. But they’re known for something that’s related to the sport of skiing, rather than for their skiing. Owners and officers in companies that make complementary products or services can be great influencers to partner with. So, determine the sort of expertise that works best for your brand and target influencers in those categories. Credibility is important, but that credibility still needs an audience to be effective. Something to know about reach is that a bigger audience isn’t always better. Influencers with larger audiences also have broader audiences. So, even though an influencer may have hundreds of thousands of followers, your product may only appeal to a small percentage of them. This is why micro influencers are often better options than major influencers. Micro influencers are those with smaller audiences—between 1000 and 25,000—that are often much more focused. The reason working with micro influencers can be effective is because your product may appeal to their entire audience, rather than just a small slice. When examining the reach of an influencer, also perform a qualitative assessment of their audience. Spend a little time perusing the comments on their posts and checking which posts get the most shares to find out about how much of their audience is made up of your ideal customers. This is actually a rather major part of the influencer marketing equation. Look at the way influencers present the products they endorse. Some are better than others. Some are good at presenting products, but maybe their style isn’t a good fit for your product. This part is largely an evaluation of their personality. Partner with influencers that are good personalities for your business. Strategically speaking, finding good influencers should be an ongoing process. Or, if you’re a marketing agency, you want to have influencer profiles prebuilt to expedite the process of establishing influencer marketing for new clients. This is a sorely overlooked step in influencer marketing. Many marketers approach influencers as packaged service providers, where they just send an email and say that they want to purchase X number of shoutouts and Y number of social media posts per month and be done with it. Even though you’re offering to help an influencer monetize their audience, there’s still a good chance that they might turn you down. Quality influencers only recommend products that they know well enough to confidently recommend to their followers. Recommending bad products hurts their reputation and could shrink their audience rather than grow it. Most often, an influencer will want to use your product or service for a while before they offer to promote it. Purchased advocacy is inauthentic. Social media thrives on authenticity. So inauthentic recommendations and content tend to get ignored by social media users. Even influencers with very good salesmanship will struggle to simply pick up a product and make their advocacy sound genuine. The moral of the story is that you’ll need to build relationships with influencers. It’s also a good idea to offer to let them use your stuff for free as you reach out to them. Here’s a basic framework for building relationships with influencers and eventually reaching out to them with a marketing offer. – Follow the influencers that you identified as good fits for your business on social media. – Engage with their content. Comment on their posts and ask good questions. Share their content. Tag them in your own posts. If you use products that they’re already advocating, share your experience with those products and services. You can even go one step further. Go out and buy something they promote and use it. Then let them know how you like it. This is definitely optional, but it’s a great way to get attention quickly. The end game here is to be enough of a presence on their feed that they’re at least a little familiar with you when you reach out to them directly. – Reach out to them directly and offer to let them use your product or service for free, in exchange for a review or feedback. Asking them to document and share their experience with you is the safest way to go.If they give you unfavorable feedback, there’s no real damage to your reputation, and you avoid burning any bridges. You can always ask for feedback on other products that might be a good fit for that influencer. On the other hand, if you ask for a public review, you may get a bad review. Since credibility is a big deal for influencers, they’ll often be brutally honest in their review if you’re stuff isn’t up to snuff. It might be a bit challenging to reach out to an influencer about another product or service if they’ve already stomped something you sent. So only ask for a public review if you know your product or service can deliver and that the influencer is a good fit for your business. – Use their review or feedback of your product or service as a gauge for how interested they would be in partnering with you. This will help you dodge any bullets in terms of influencers who don’t really like what you’re selling. If their feedback isn’t so great, you can simply thank them for their time and move on with minimal losses. This is where you actually approach them about paying them for access to their audience. At this point, they should have your product in their hands, and will hopefully be using it, so they can be a really genuine advocate for your business, which is exactly what you want on social media. Clearly, this is a long process. If you’re an agency looking to keep influencers in the wings for new accounts, you can put influencers in a holding pattern around step two in the process. Just keep engaging with them on social media until you’ve got a product or service to offer to them for a test run. If you keep your influencer relationships active, you should have no problem acquiring influencer marketing nearly on demand. Another common stumbling block on the path to influencer marketing is establishing clear guidelines for the marketing collateral that you get from each influencer. – Number of social media posts that mention your brand per day/week/month. – Number of videos, stories, IGTV episodes, Facebook Live posts or other content types that mention your brand per day/week/month. – Where and when your brand will be placed in their content. Will they mention it at the beginning of videos or at the end? Will they tag your company in their posts or use your brand specific hashtag? – Number of content pieces that focus specifically on your product or service. Most commonly, these content pieces are reviews. However, these can also be product updates, press releases and even behind the scenes content like office or factory tours. – Deliverables influencers need from you. These can be things like logos, sound bites, scripts or anything else to correctly represent your brand that influencers can’t make themselves. The purpose of going through all these things isn’t to micromanage influencers. The goal is to create an agreement with very clear conditions for success. Having a very precise agreement makes things easier for you and for the influencer. The influencer knows exactly what they need to do to satisfy the requirements. And it’s easier for you to identify influencers who may not be holding up their end of the deal. So be nice as you negotiate, but be specific. It’ll make your influencer marketing life much easier in the long run. Now that you’ve got your influencers on board and producing content, just sit back and watch the sales come in, right? Not quite yet. There’s one more thing on the influencer marketing to-do list. Influencers produce a lot of content that can be repurposed for other marketing channels. – Use influencer quotes or testimonials in marketing emails, landing pages and sales pages. – Create an influencer page on your website with short bios and links to your influencer content channels. – Create blogs and newsletters that feature your influencers and provide links to influencer content that focuses on your brand. Now that you have access to influencer audiences, you have a vested interest in helping your influencers grow their audience. So send your influencers some publicity. It’ll come back to you in the form of enhanced ROI from your influencer marketing budget. Also, put together some information materials about how you promote your influencers. Send this package out when you do influencer outreach. It’ll give them even more incentive to partner with your brand. The best influencer marketing strategy is a continuous activity. Cold pitching influencers and buying shoutouts generally gets mediocre results. Use your influencer marketing strategy to build a repeatable process. This way you can create a continuous cycle of finding influencers and developing relationships with them that will enable you to snap up new partnerships as your budget allows or whenever you have a marketing client who needs influencer marketing. The good news is that the most important part of influencer marketing—building relationships with influencers—is pretty much free. It just takes a little time. So, if you’ve got any influencers in mind, don’t be shy! Hop on and start a conversation!